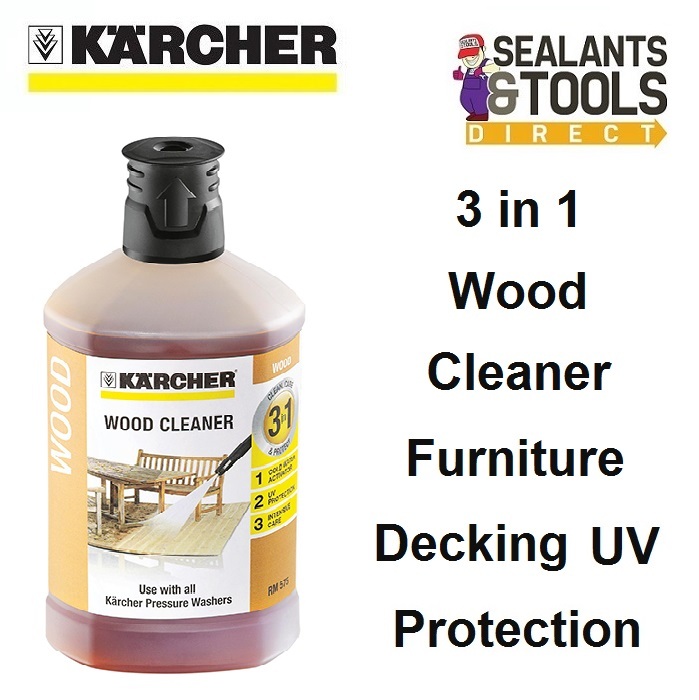 The Karcher 3 in 1 Wood and decking cleaner is suitable for cleaning wooden surfaces such as wood decking, garden furniture, wood cladding, fencing and sheds just about any wooden surface. Karcher Wood Cleaner also provides protection for the surface afterwards. It is suitable for use with all Karcher pressure washers. The 3 in 1 formula has a powerful dirt dissolver as well as a UV and intense care protector built in.